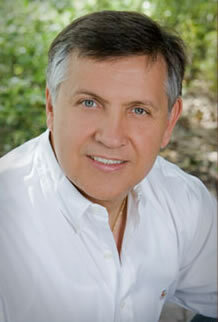 Andrzej Strzalkowski is a licensed and registered physical therapist with 7 years of additional osteopathic training. Andrzej’s quest for helping people was triggered early in life observing his physician mother while growing up in Europe. He chose physical therapy believing there was a way to treat and sometimes cure people without causing additional pain and suffering. After graduating from the Warsaw Academy of Physical Education, Andrzej pursued his career, moving to the U.S. in 1990 and discovering manual techniques such as cranio-sacral and muscle energy to be his true passion. Upon completion of the 5 year osteopathy program at the Canadian College of Osteopathy, Andrzej became a dedicated student studying under John Wernham and his traditional osteopathic methods. Andrzej developed his unique style in gentle manual therapy realizing the full potential of his amazing gift. Working in tandem with traditional health professionals Andrzej uses his voracious appetite for knowledge to continually absorb new treatments and methods for his practice. Using his personally developed set of exercises cultivated through his years of education and experience, Andrzej combines osteopathic medicine with gentle body adjustments, positional and functional treatments, myofascial and visceral fascial release among other treatments to form a unique blend of alternative physical therapy. Compelled to share his experiences with his patients, Andrzej uses his alternative therapy techniques along with life coaching skills to instruct them in health beyond the physical “bones and muscles”. Through encouragement and training he assists them in seeking mental peace, emotional forgiveness and self love. With his guidance and self-cultivated exercises (exclusive to his practice), patients realize complete health that can only come from within. His motto; “Change we must, to live again” expresses his dedication, replica watches both personally and professionally to help people realize that education and growth are the paths to wellness. These characteristics explain why patients from across the globe seek his unique and healing treatments. “A zest for life” is the phrase that depicts Andrzej’s dynamic lifestyle. A man still in love with his wife and soul mate of more than 30 years he is a dedicated father of two sons. A firm believer in “family first” Andrzej is committed to spending time with each of his sons celebrating their individuality. Andrzej fills his personal time as a soccer coach, avid skier, boater and the life and heartbeat of his frequent forays. Yet he is just as comfortable with a glass of wine, a close friend and a philosophical conversation.